Kruger National Park is one of the largest game reserves as well as one of the best game viewing areas in Africa. Renowned for its diversity in wildlife and for its conservation efforts, Kruger National Park is a top tourist destination in South Africa. The park is the size of Belgium or Israel, so it is important to chose the area which you would like to visit. Most tourists will visit the southern part of the park, where chances of viewing the Big Five and other wildlife is much higher than in the northern part of the park. Especially since most tourists only spend a few days in the park, driving the whole length in just a few days is not possible. The distance from north to south is about 350 km, with the speed limit being just 50km/h. 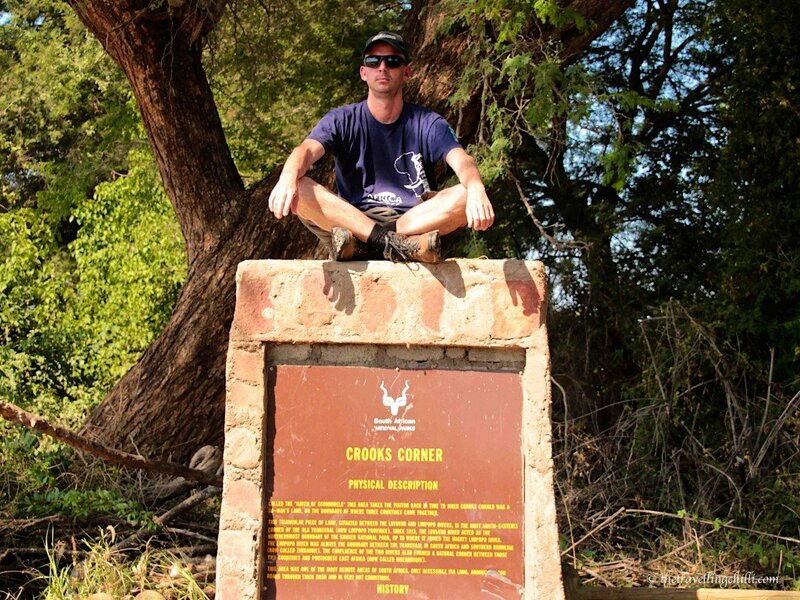 During the past years, we both visited the southern area of the Kruger park many times with various groups of tourists. Since we had both never been to the northern area of the park before, we decided to take a roadtrip and see for ourselves how it compares to the southern part of the park. We decided to drive all the way to the northern most gate of the park, Pafuri gate, and drive southwards taking our time. 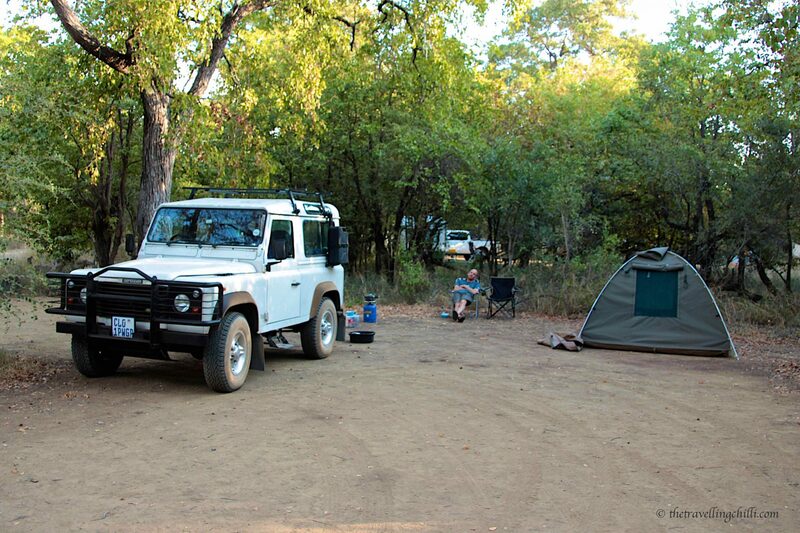 Punda Maria is the northernmost SANParks campsite of the Kruger park. It has a very chilled and relaxed atmosphere. It is one of the smaller camps of the park, still having some of the original thatched and mud-walled huts built in 1933. What stands out for me most of all, apart from the very cosy feel, is the waterhole located in the campsite. Animals who come to drink can be observed from the campsite, but for a better view and observation, there is a wooden hide overlooking the floodlit waterhole. I was actually surprised at the amount of animals that came to drink when we were there. We saw buffalo, impala, giraffe, nyala as well as various breeding herds of elephants. A few days earlier, some lion with cubs were spotted in the early hours of the morning. It is not even necessary to go out in your car for a game drive, just enjoy the animals right by the campsite, which makes it a very relaxing stay. 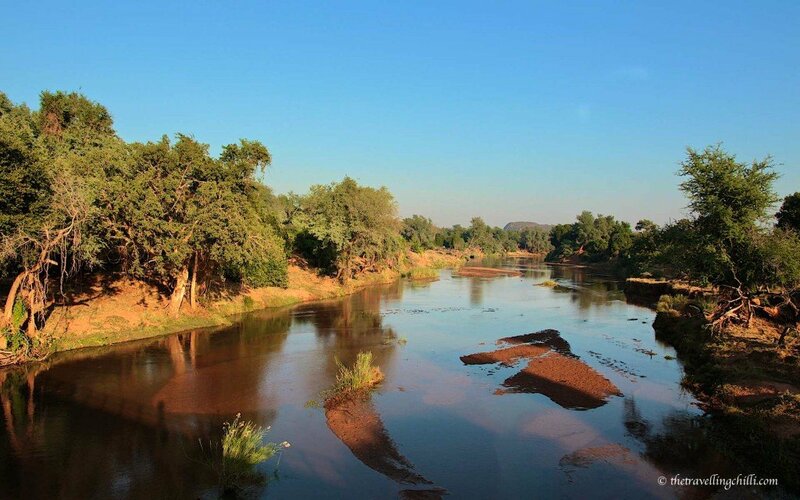 Crook’s corner is located in the most north-easterly corner of the Kruger park, at the confluence of the Luvuvhu and the Limpopo river. It used to be one of the most remote areas of South Africa, only to be reached through thick bush, hot weather conditions and with dangerous animals roaming in the area. Beginning 1900, it was a safe haven for various people dodging the law, like ivory poachers, gun runners and other fugitives and shady characters. Crook’s corners, which was also known as the ‘Haven of Scoundrels’ was considered a no man’s land, right on the boundary where the three countries, South Africa, Mozambique and Zimbabwe meet. Right on the border of the three countries, there was a beacon. When the lawmen of one country would arrive, it was just as simple as to take a step into one of the other two countries to ‘escape’ the law, or simply to move the beacon onto the other side of your camp. And even when the lawmen of all three countries would arrive at the same time, there was the last option of standing on top of the beacon to be in ‘no man’s’ land to escape the law in all three countries at the same time. It’s a nice place to visit, surrounded by huge fig trees, baobab and jackalberries. There are no dodgy characters anymore, since the riverbanks are now largely populated with hippo’s and the rivers full with crocodiles. Tsendze tented camp is located a few kilometres south of Mopani rest camp, where you’ll have to do your check in. It is a very rustic camp when compared with the normal SANParks restcamps in the park where basically everything one needs is available (shop, swimming pool, laundry, restaurant, electricity,…). When arriving at the camp, you need to get out of your car and open the gate yourself (no gate security around) and close it of course. Most of the camping spots are located along the fence. There are no electricity plugs available, however the facilities do have solar powered lights, making it a very quiet campsite. We noticed a lot of campers were having the TV playing in the evening at the other camps, while here it was just bush tv (campfire) and the sounds of nature in the background. 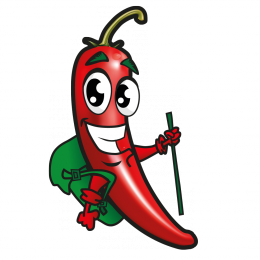 There is a common fridge available (gas powered) where you can store some of your food as well as gas stoves. The outdoor showers are a great opportunity for doing some star gazing while washing off the dust of the day. It’s a great campsite with a rustic and peaceful atmosphere, very nice and helpful staff you get the ‘in the middle of the bush’ feeling. 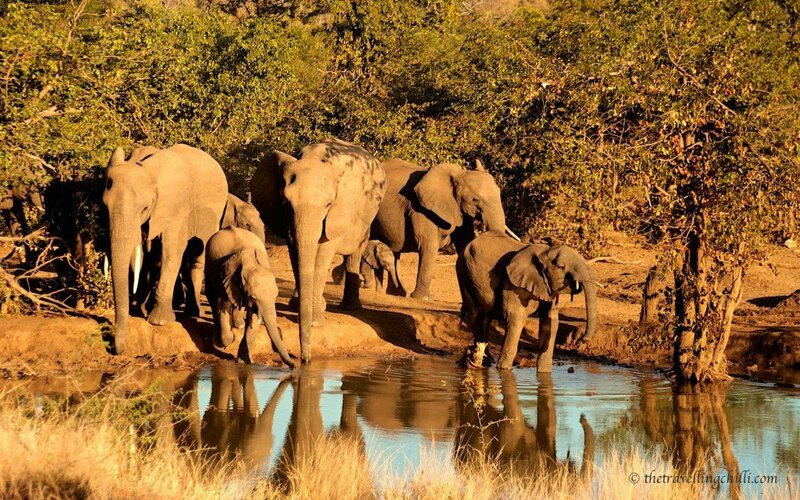 Most people will visit the Kruger park to spot the famous big five. If that is your goal, the best is to stay in the southern part. The northern part has some great animal sightings as well, especially some of the more uncommon and scarce animals, like the Nyala, Roan and Sable antelope and Sharpe’s grysbok. We saw lots of Nyala during our drive in the north, and even managed to see a few Roan antelope. 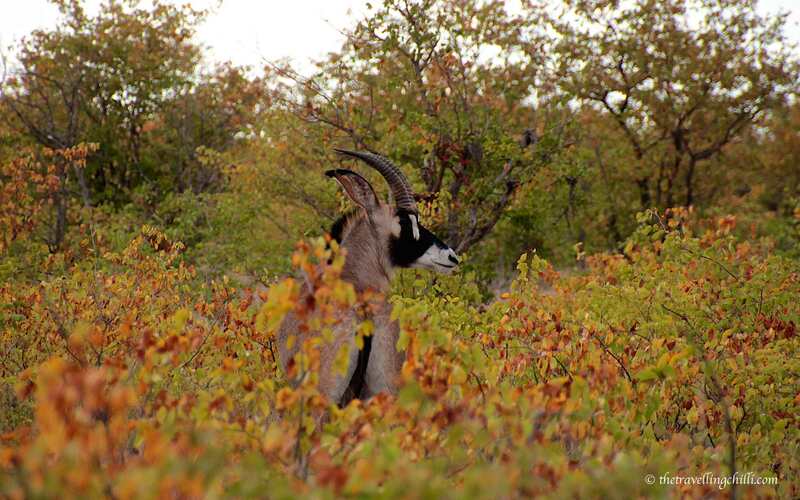 According to the last counting in Kruger, there are only 90 Roan antelope left, so we were very lucky to have spotted 5 of them. 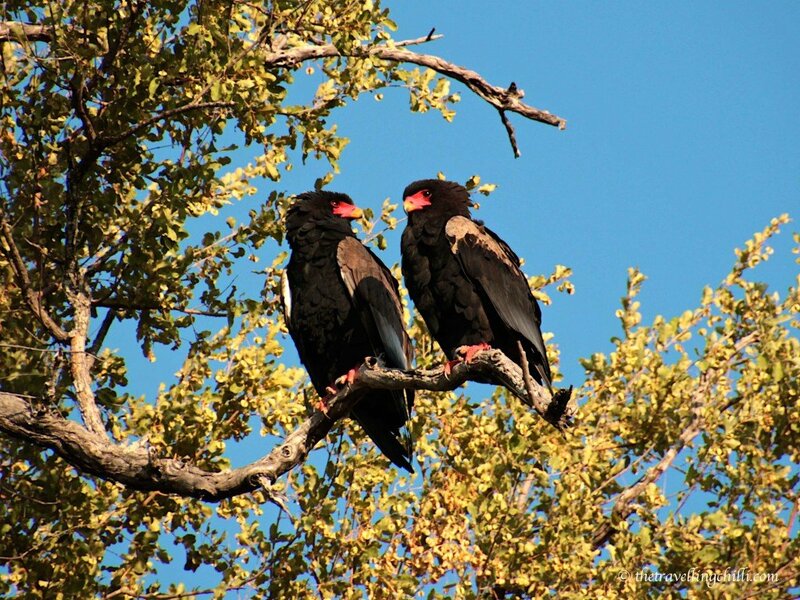 It is also pretty common to see various birds of prey like the Bateleur eagle, and other birds like the Cape Parrot or even the elusive Pel’s fish owl. Most other birds are attracted to this area by the presence of many fruit trees. One of my favourite rest camps of SANParks in Kruger is Shingwedzi rest camp. 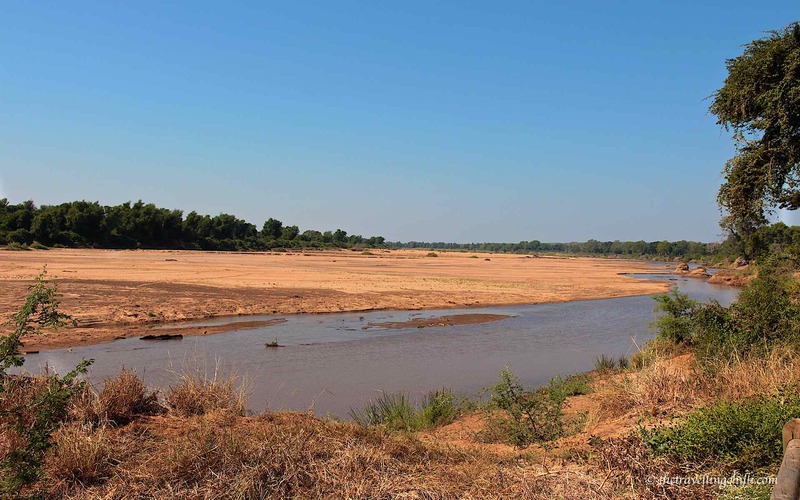 In the heart of the mopani country, the camp is located on the banks of the Shingwedzi river. The day visitors areas and the restaurant are both overlooking the river, with so many different animals present in one location. It’s just stunning, and even more so during the early and late hours of the day when enjoying an amazing South African sunset or sunrise while observing the creatures of nature. According to Sean, Shingwedzi has the cleanest and bluest swimming pool he has seen in a long time. Seeing that he has seen many during the last years, that means a lot. 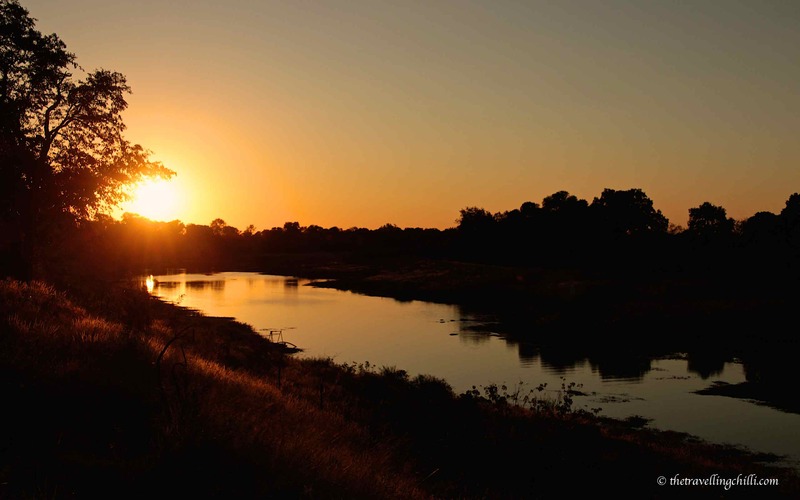 This is definitely a camp site where we will return and spend some relaxing days, enjoying the surroundings, overlooking the Shinwedzi river and cooling off the day with a sundowner in the bluest pool, which is right next to the fence, so animal sightings are quite possible. Since the northern part of Kruger is officially located in the tropics, the landscape looks very different to the south. Majestic baobab trees, palm trees, fever trees with their luminescent green yellowish barks and huge fig trees dominate the landscape. Same as in the south, there are Mopane trees, however the bushes are less thick and dense giving the area more wider and open views over the grassland. 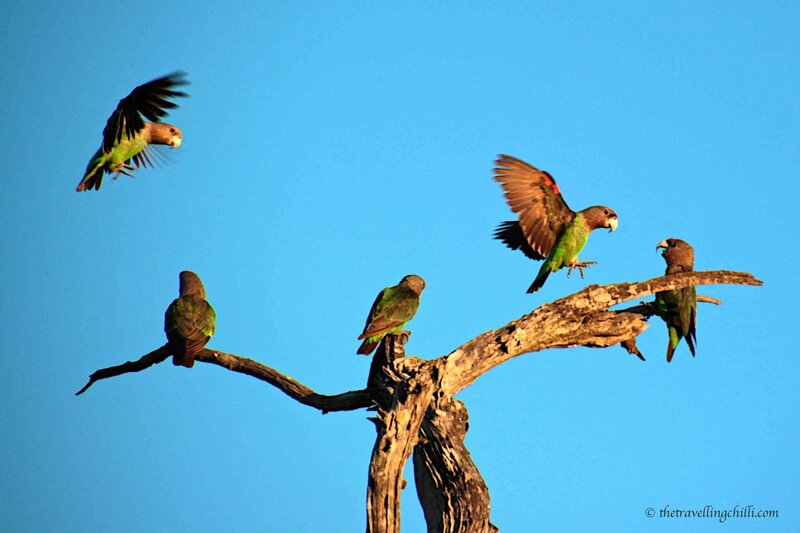 Along the Luvuvhu river, the vegetation is lush and green, attracting a great amount of birdlife. The Pafuri picnic site is located overlooking the river. We saw a nice variety of birds (even if we were not there during birding season), and various animals coming for a drink in the river. 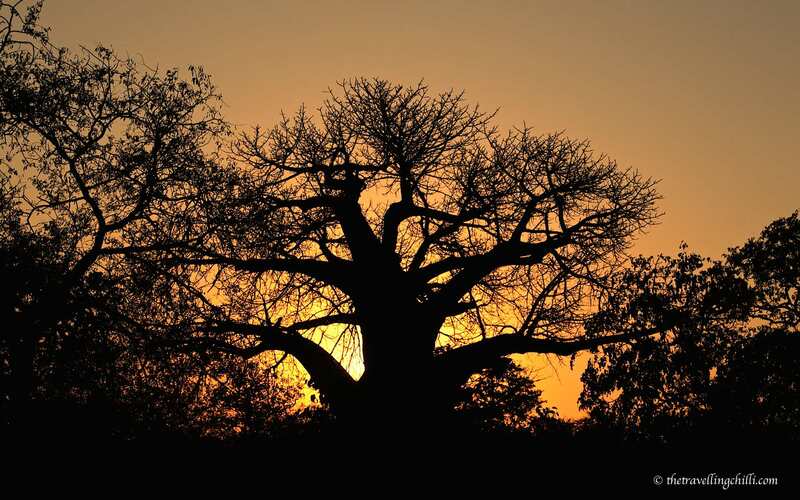 Seeing the mysterious baobab trees, with huge eagle’s nests, with the golden glow of the sunset makes the Pafuri area just breathtaking. It was our first time in the northern part of Kruger but it was definitely not the last. 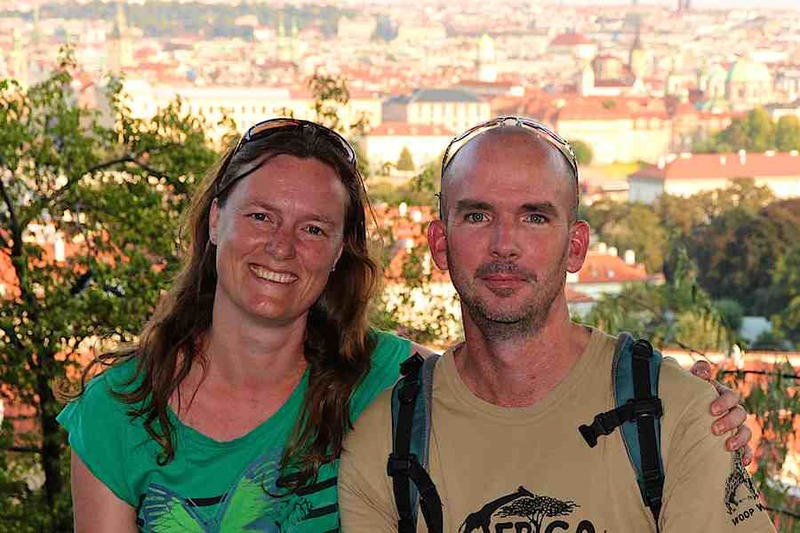 We were both really impressed by the breathtaking landscape, the variety of animals and the beautiful campsites. Have you ever visited Kruger National Park? Which areas did you visit and which was your favourite? That’s interesting to know that there is such a difference in the wild life from North to South. I have no immediate plans to visit, although it is high on my list, but I will have to remember that. Although now I want to see all of it so maybe I should just plan on staying longer- haha. WOW what beauty to be had here. Simply gorgeous views. Amazing, such a beautiful place and I had no idea the park was the size of a small country!! Wow, looks beautiful! Can’t believe the size of this park! Sounds like such a fun experience! Love the photos! I can’t imagine why anyone would want to go camping to watch TV in the evening! I’m glad Tsendze does not have electricity and lets you experience the nature fully. Looks like you had a wonderful time. I loved your photos! 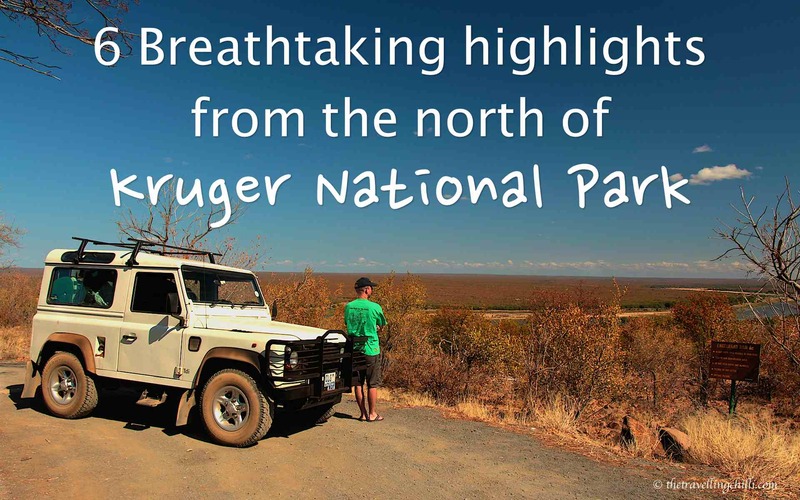 Kruger NP has LONG been on my travel list, just like the whole South Africa. I will surely come back to your blog once I have my tickets. 😀 However, I think I would not like to visit Tsendze which has all those amenities I’d rather escape from when travelling.